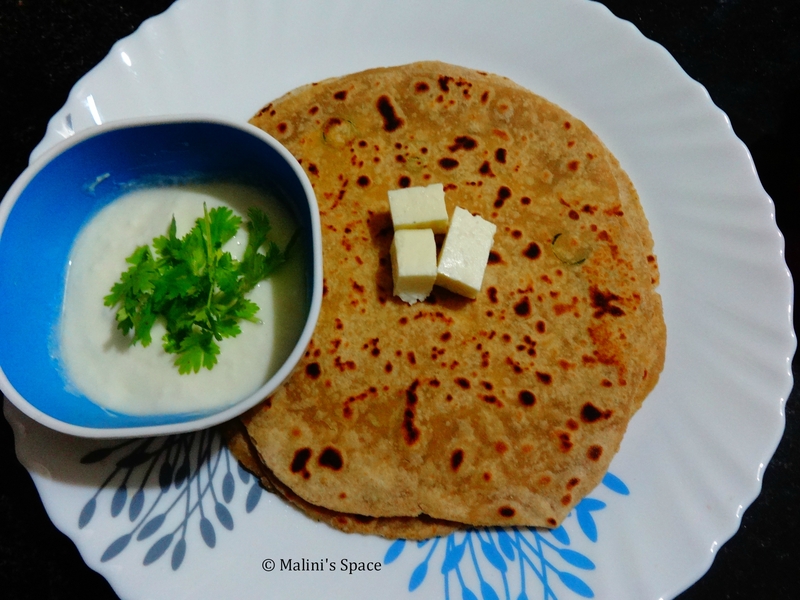 Parathas are very popular for breakfast and dinner in some part of Indian homes. 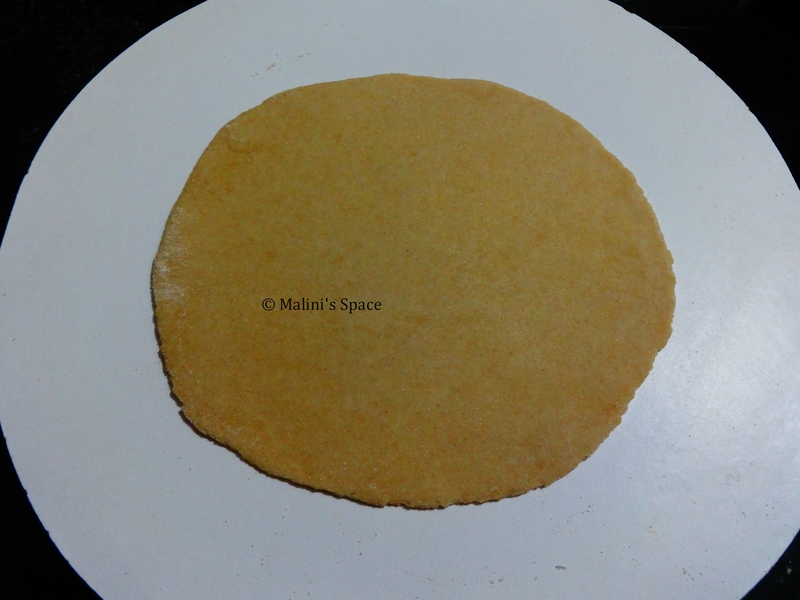 There are many varieties, the base would be same, we use wheat flour to make dough and the main ingredient would vary according to the taste. The good side for this paratha would be raita. 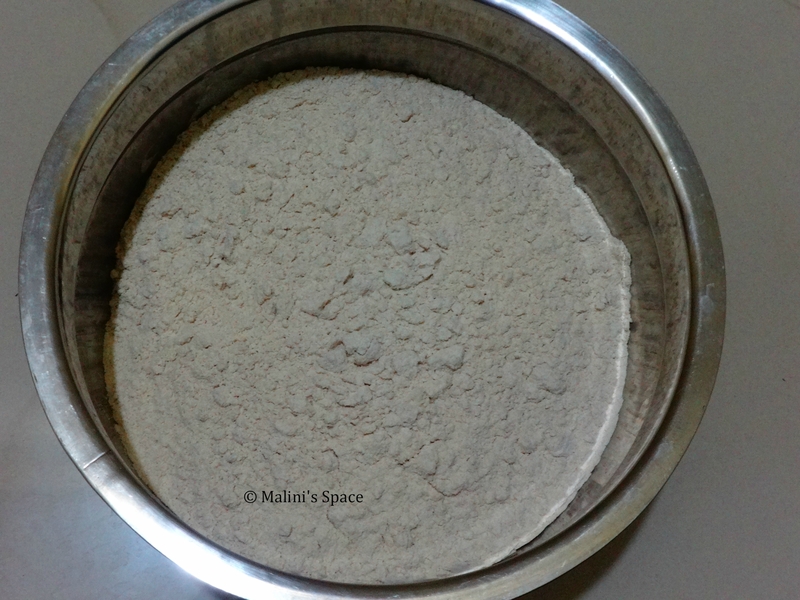 You can consume with other masala’s as well. Get all the ingredients ready. 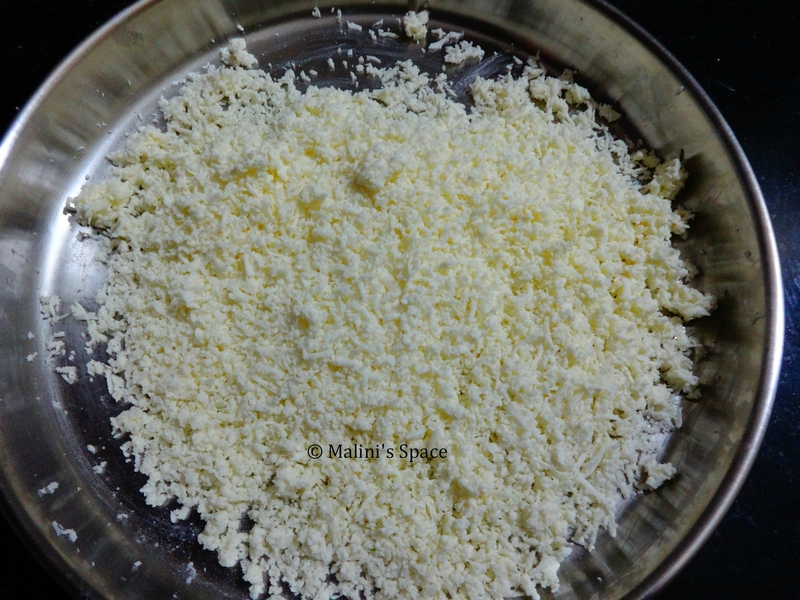 Grate the paneer / cottage cheese. 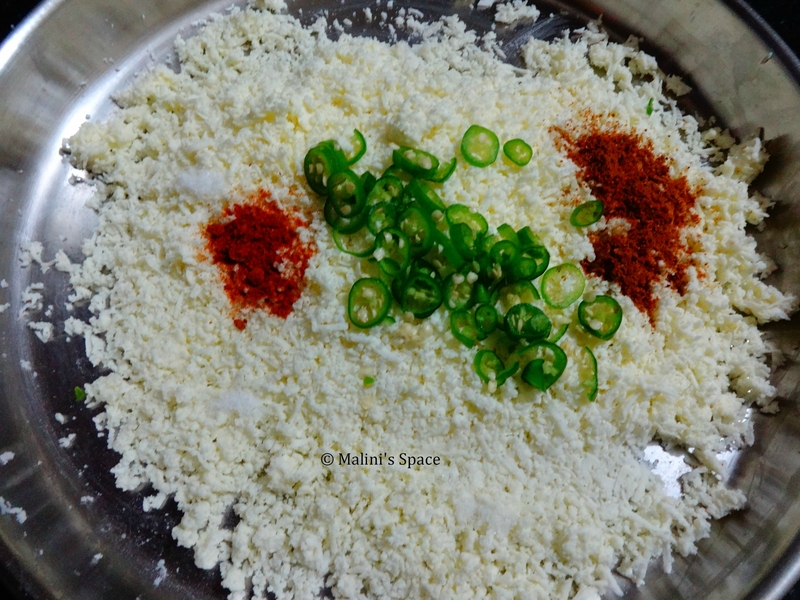 Add chopped green chilies, 1/2 tbsp of salt, red chili powder and garam masala powder to that grated paneer. Mix everything well and keep it aside. 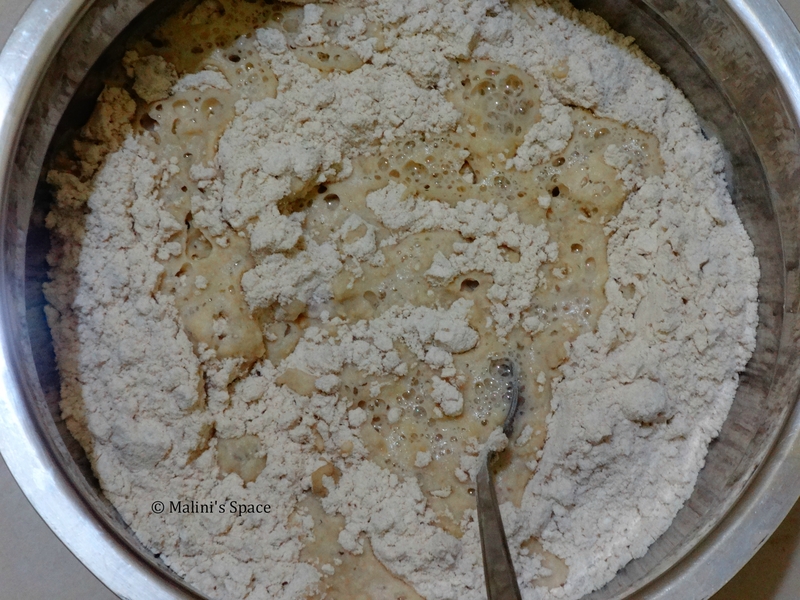 Add 1/2 tbsp salt and 1 tbsp of oil into that flour and mix well. Now add warm water and start kneading. 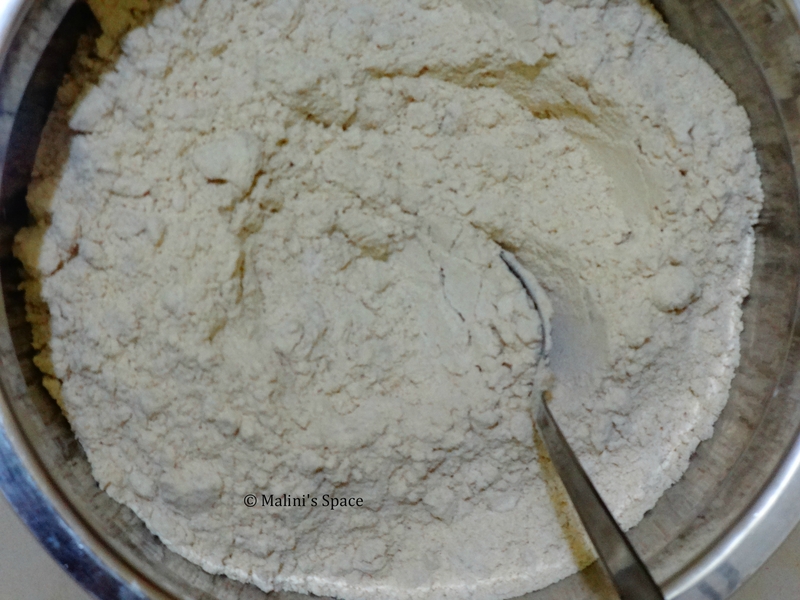 Add more water if required and knead to get a smooth dough. 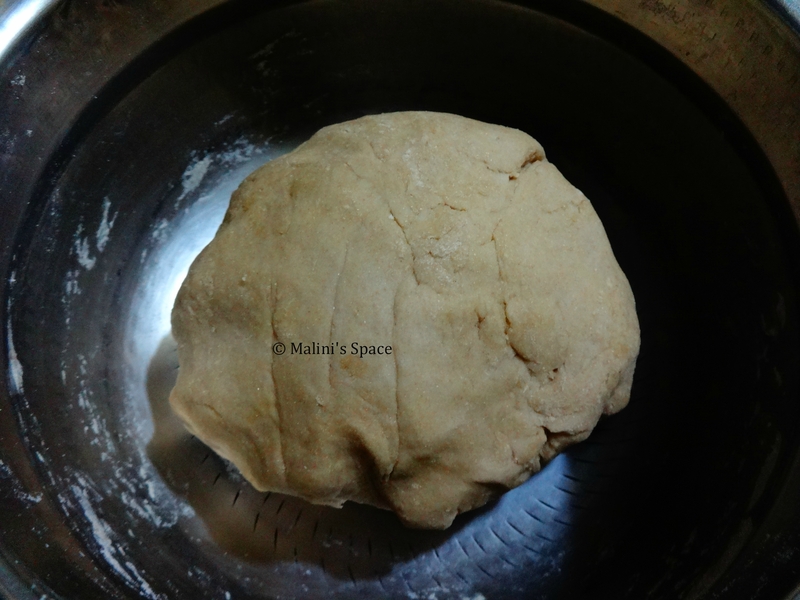 At the end add 1/2 tbsp of oil and gently knead the dough. 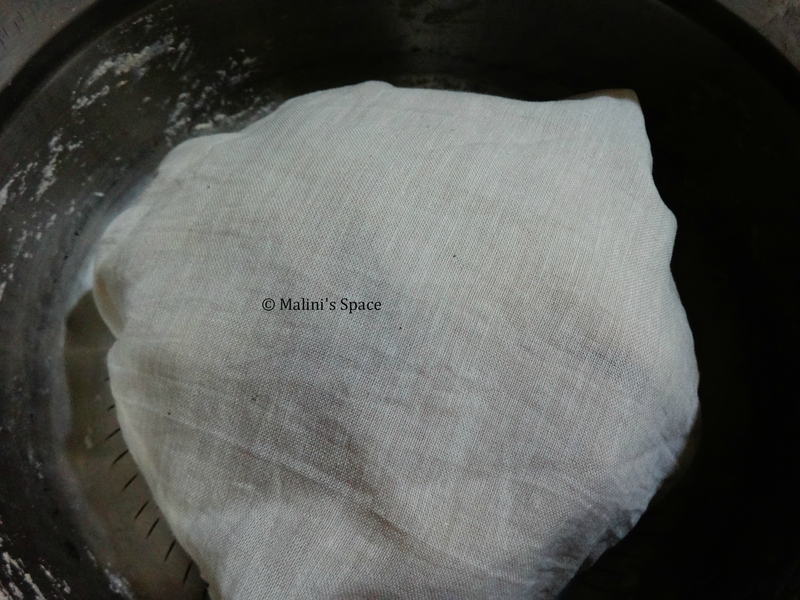 Cover with cloth or close with lid to rest for 15-20 mins. 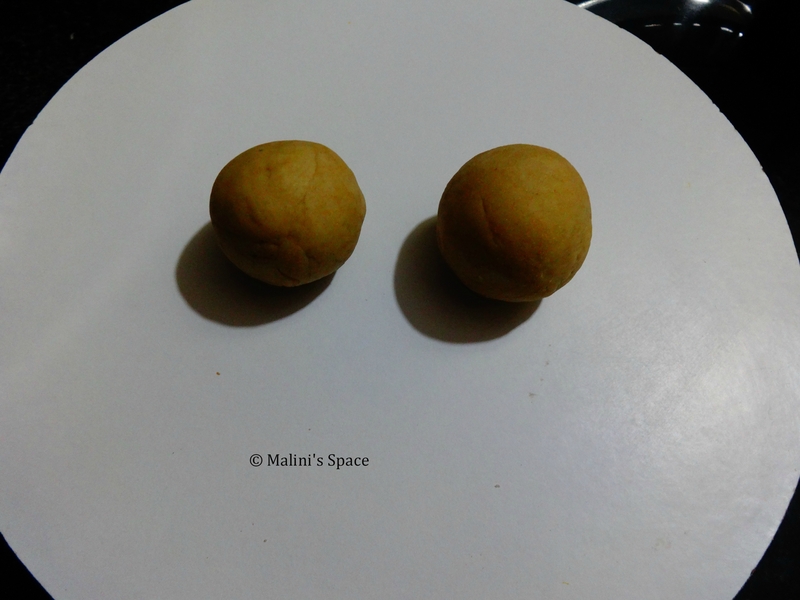 After 20 mins, make two small smooth balls of dough. Use rolling pin, roll the balls and make a smooth circle. 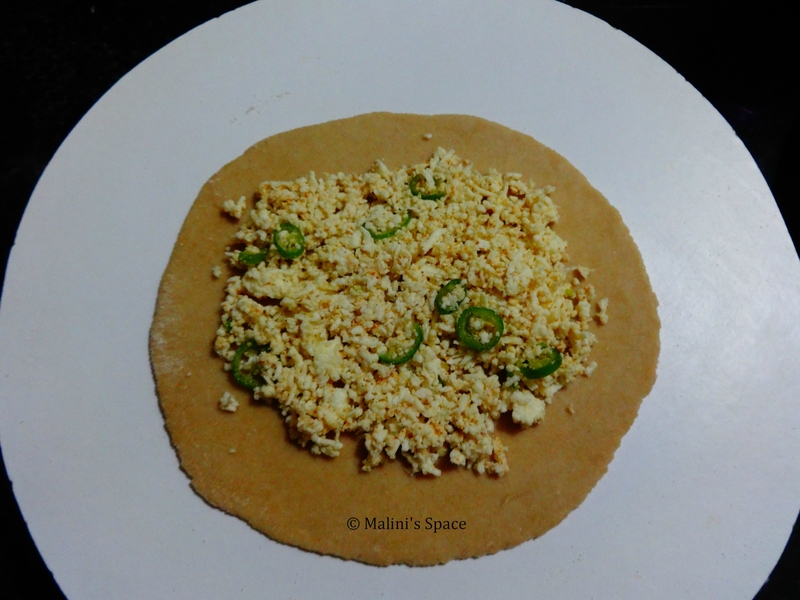 Place the paneer stuffing on one bread. Cover the stuffing with the other rolled bread and press the edges well. 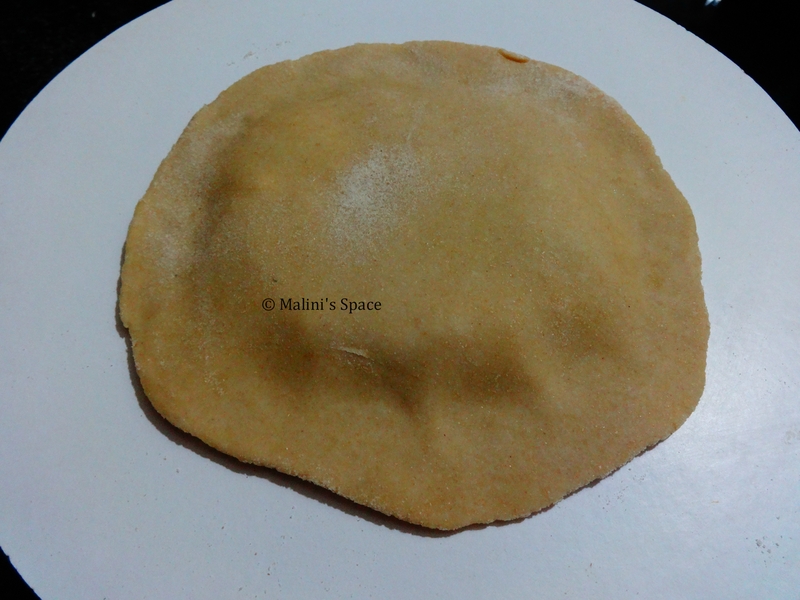 Now sprinkle some wheat flour and roll the stuffed bread make a bigger circle. 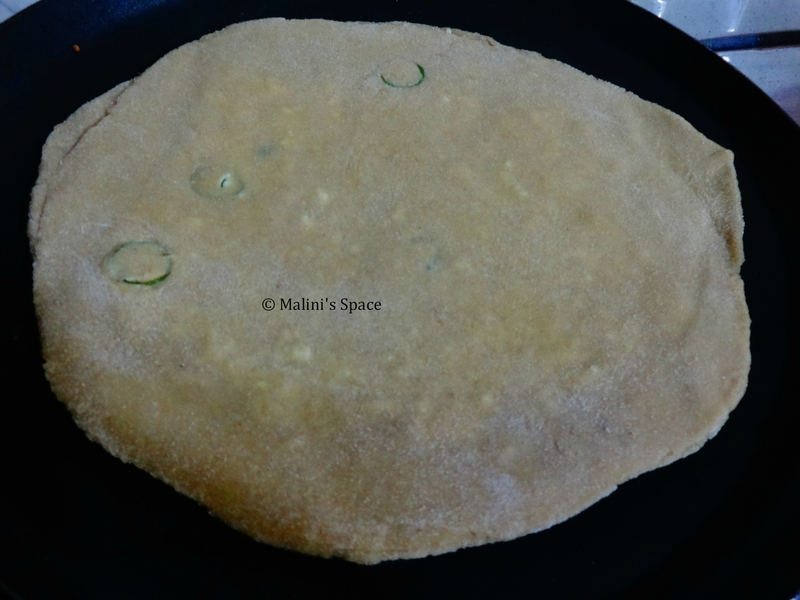 Heat the pan, place the stuffed paratha on the pan. If the once is cooked. Flip and cook the other side. 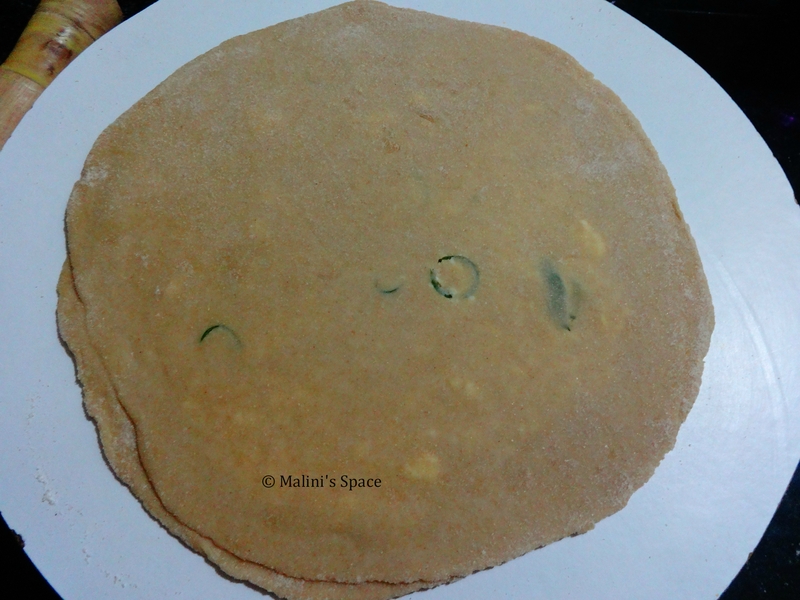 Apply some ghee / oil on the paratha while cooking and press the sides well. 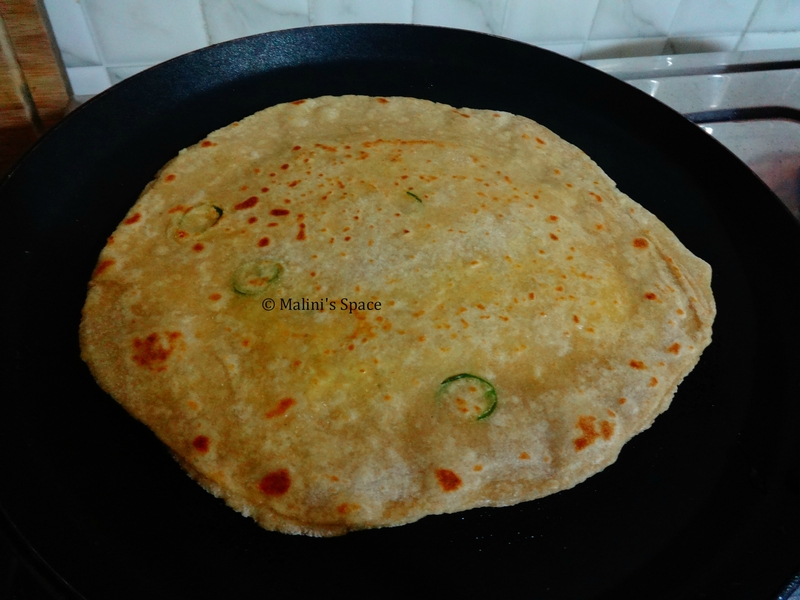 Yummy paneer paratha is ready to be served. Sure Malini, will try it in a week or two and let you know. 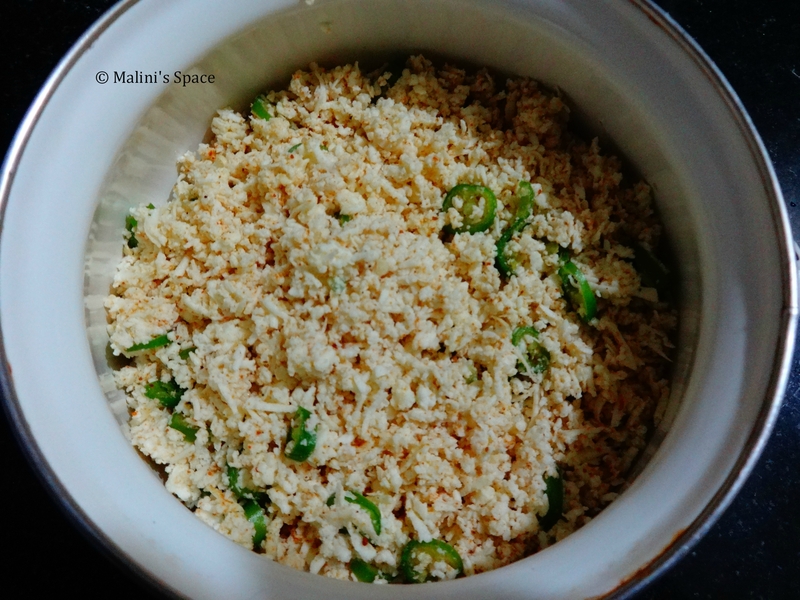 Thanks Malini for sharing the recipe!